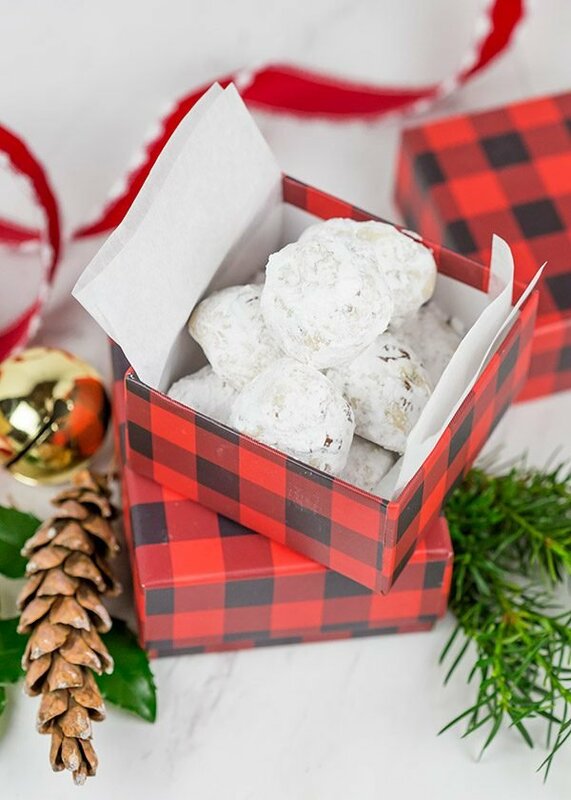 Packed with chopped pecans and rolled in powdered sugar, these Gluten Free Vanilla Pecan Snowball Cookies are one of my all-time favorite holiday cookies! Ho ho ho! Merry Christmas! We all know and love Santa, but I think it’s time we stop and really appreciate the big man in the red suit. He spends his entire year keeping the elves under control as well as making his list and checking it twice. That’s a lot of work! (Trust me, now that we have a 2-year-old toddler in the house, I can appreciate how hard Santa’s job is!) That’s why it’s time to give Santa a paycheck. I know he gets “paid” in oodles and oodles of cookies that are left by the fireplace with care, but the poor man can’t pay his mortgage on the North Pole with cookies! Do you remember talking about how much a Mom would make if she received a salary? Well, the same folks did a similar experiment seeking to compensate Santa adequately for all of his hard work throughout the year. $146, 308.51. That’s what Santa would make if he got a paycheck. Holy moly, Batman! That’s quite the check for a guy who works from home in his pajamas! (That red suit is pajamas, right? Eh, close enough!) But before you start wondering how to apply to be Santa’s assistant, you’ve got to realize that he doesn’t get a day off. Ever. And his holiday hours are brutal! A break? Forget about it, Kris Kringle! But reality aside, it’s kinda fun to stop and think about Santa’s actual jobs. From Labor Negotiator (that Elvish Labor Union is always causing trouble!) to Snow Plow Driver (gotta keep the sleigh runway clean!) to Cookie & Milk Taster (wait…you can earn a salary doing this!? ), the big man really does have quite a lot on his list. Maybe I should rethink my goal of one day being Santa in the big Thanksgiving Day Parade! While we aren’t leaving Santa a paycheck by the fireplace this year, I am planning on leaving him a batch of these Vanilla Pecan Snowball Cookies. I mean the man works hard, he needs delicious cookies! Sometimes called Mexican Wedding Cakes, Russian Tea Cookies or Nutty Balls (thanks, Mom), these Vanilla Pecan Snowball Cookies are a classic around our house during the holidays. They’ve been one of my favorite holiday cookies ever since I could reach up and pull the container from the counter! In fact, my sister joined in a virtual baby shower for me several years ago, and she posted a cake topped with these cookies. Mmmm…cookies and cake together! What is your favorite holiday cookie? Do you get together with friends and neighbors for a big cookie exchange party every year? 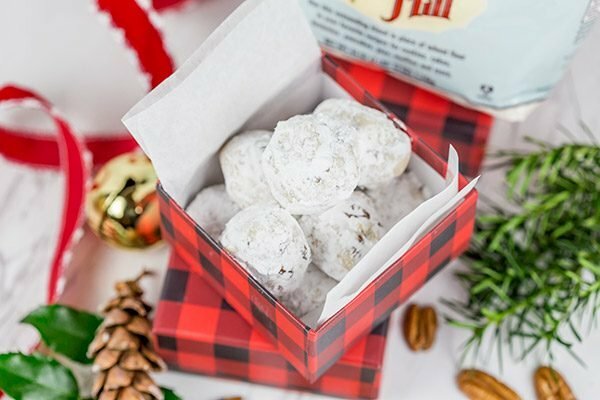 I know cookies during the holidays are already plentiful, but I’m telling you right here, right now that these Gluten Free Vanilla Pecan Snowball Cookies need to be added to your list. I can say with a fair degree of confidence that these cookies will become a family favorite, and you’ll find yourself making them every year! But beware: these bad boys get covered in powdered sugar, which makes it impossible to sneak a late-night cookie. There will definitely be evidence on the counter…and perhaps on your shirt, too. Trust me, I speak from experience here. As fun and merry as the holidays are, it’s important to remember that this time of the year can actually be very difficult for people dealing with mental illness or grieving from the loss of a loved one. Laura’s uncle passed away this past year, and I know the holidays aren’t going to be the same without him around to share his dozens (and dozens and dozens and dozens) of cookies and pies. 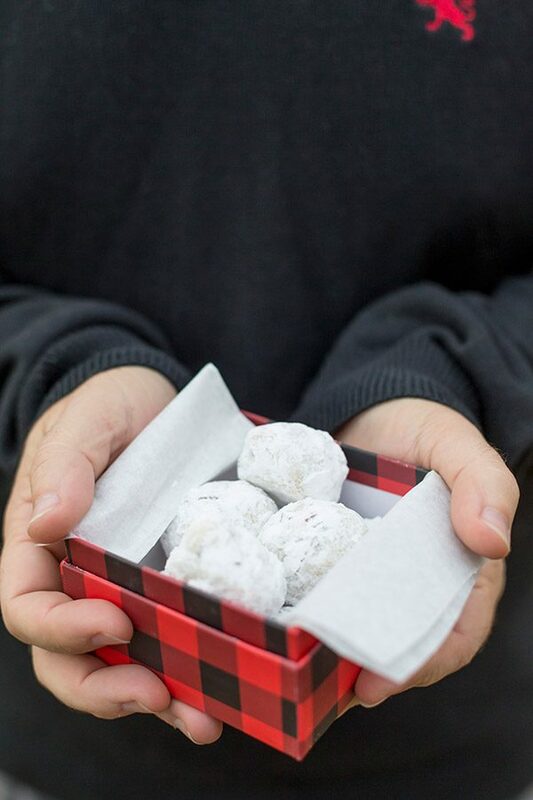 We actually made a couple of batches of these snowball cookies early this year so that we could share them with some of the folks who do so much for us throughout the year. One of the first people to get a box of cookies was Robbie’s teacher at school. That woman is a saint. She not only keeps a room full of toddlers under control, but she manages to teach them, too. I do love to bake, but I’ll be the first to admit that gluten-free baking is not in my wheelhouse. But that’s ok. Bob’s Red Mill Gluten Free 1-to-1 Baking Flour does the job for me. I literally just use this flour instead of all-purpose flour, and I’ve got a batch of gluten-free snowball cookies coming right up! It’s seriously like magic! (Of course, if you’re subbing in this gluten-free flour for one of your favorite baking recipes, you should confirm that all of the other ingredients in the recipe are gluten-free, too.) 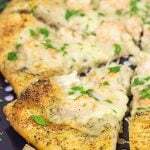 If you’re wondering, Bob’s Red Mill Gluten Free 1-to-1 Baking Flour is a blend of several gluten-free flours, including rice flour, sorghum flour and potato starch. Who would you like to share the baking love with this season? 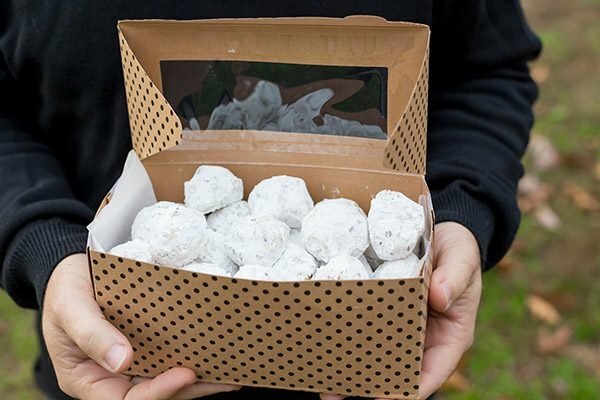 I’m sure there is someone in your community that would really appreciate the kindness of a surprise box of snowball cookies! Think neighbors, teachers, the local firehouse, or even a hostess gift. These cookies are both festive and delicious! Just grab a small box (or a big box if you’re making a batch for me!) and some festive holiday ribbon. For a really fun touch, add a spring of pine (perhaps clipped from your Christmas tree) and a jingle bell to the package. Oh, and while you’re at it, go ahead and make a double batch of these snowball cookies. That way you can keep some for yourself! Cheers and happy baking, my friends! 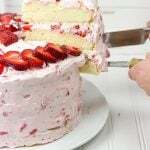 Using an electric mixer, mix together the butter and ½ cup of powdered sugar until well combined. Add flour, vanilla, salt and 2 Tbsp of water; mix on medium speed until well combined. Add chopped pecans; mix on medium speed until well combined. 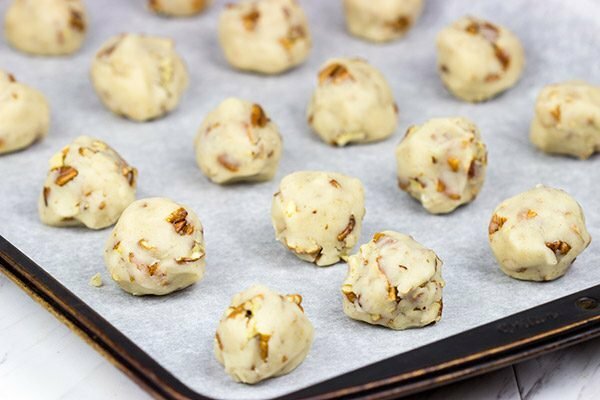 Shape the cookies into ¾”-1” balls and place on parchment-lined baking sheet. Let cool for 5 minutes, and then roll cookies in the remaining 1 cup of powdered sugar. If you aren’t baking for friends with gluten sensitivity, then feel free to use Bob’s Red Mill’s All-Purpose Flour instead! 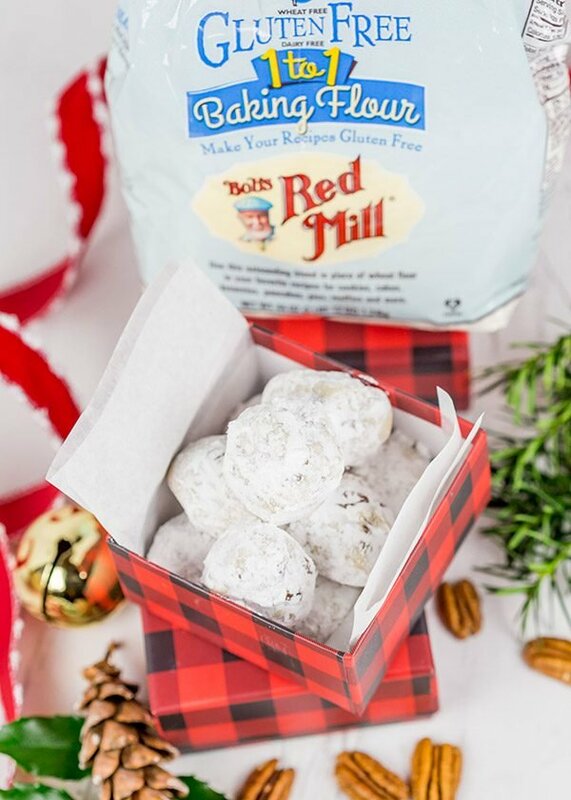 This Gluten Free Vanilla Almond Snowball Cookies post was written by me on behalf of Bob’s Red Mill. Looking for another tasty gluten-free holiday treat? 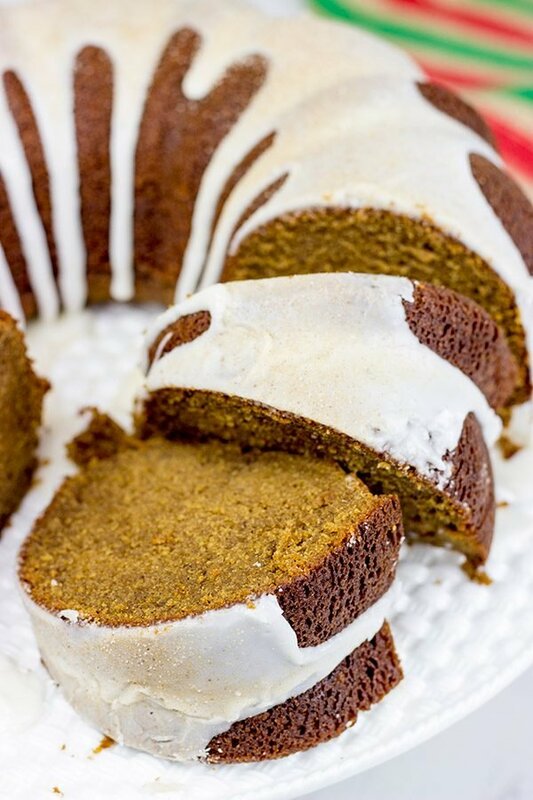 Give this Gluten Free Gingerbread Pound Cake a shot! Puja!! So glad to hear from you! 🙂 So these cookies really are super easy to make, and they are absolutely my all-time favorite holiday cookie. Do give them a shot this year! Thanks so much for stopping by, my friend! A. Sign me up to be a cookie and milk taster. That sounds like a job I’m actually qualified for. B. This post is so cute. My 10 yr old niece recently found out Santa doesn’t exist however we’ve convinced her to believe in the magic of Christmas. She’s excited to keep Santa’s spirit alive for her little brother. D. Boy, can you bake!! These cookies look amazing!!! I have to give them a try! E. I love any cookie with chocolate, ginger, butter, sugar… yeah, so any cookie. A. I would, except I already took that job. You can apply to be my cookie and milk tasting assistant though. Does that work? B. Cute! Wait…did you say Santa doesn’t exist!? Lies. Dirty, dirty lies. D. Yes, make these cookies. Then eat them all. Then make another batch. That’s how I roll during the holidays! E. Sounds like you are qualified for (A). Drop an application ASAP! F. I loved your weirdo comment…haha! Thanks so much, Christina!! I want to be Santa’s official cookie taster. I feel like he needs some help because, let’s be real, his bowl-full-of-jelly belly can’t be healthy! Mexican wedding cakes are probably my favorite holiday cookie, followed closely by gingersnaps and shortbread. And peanut butter blossoms. I’m so sorry to hear about Laura’s uncle. The holidays are never easy when loved ones are missing from the celebration. You are totally right, Kelsie! Santa needs help eating all of those cookies. I mean the poor man works hard all year long, so he deserves some holiday cookies…but there are a lot of cookies for Santa to polish off on Christmas Eve. We should help him. Let’s start with a batch of these snowball cookies, yes? I knew we were friends! I love your list of cookies, and I might just put them in the same order. Except gingersnaps would be gingerbread cookies for me. And thank you for the kind words about Laura’s uncle. It was pretty sudden, and he is missed for sure. $146, 308.51 sound quite good but I expected a little higher. On the other hand, let’s be honest – Santa delegates most of the tedious work to his elfs. And these cookies are delicious. I like this kind of treats. 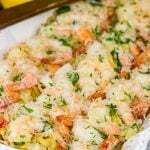 They are super easy to make and have an amazing melt-in-your-mouth texture. But what I see! Boxes?! Are you finally sending the Christmas present to me (cause I already shipped mine to you). Nicely done, David! Well you make a good point here, Ben! Santa does delegate quite a bit to the elves. But that’s why good managers get paid good salaries, right? 🙂 And you totally caught my boxes in this post! I was just packing these cookies up for you, but then something happened. All of the cookies disappeared. It was tragic. Maybe I’ll try making you another batch…let’s hope this batch doesn’t disappear, too. Santa is going to love these cookies. These cookies are the perfect cookie for Christmas. So yummy! Sorry to hear about Laura’s Uncle 🙁 I’m sure he’ll be missed. These cookies look dangerously good, David. Though, I don’t like the idea of evidence being left behind, lol, with all that powdered sugar. That would not work 😉 I love all sorts of cookies, but probably my absolutely favourite is shortbread. If you want to send me some of these just to make sure, please feel free…hehehe 🙂 Have a wonderful weekend! Thank you for the kind words, Dawn. And I think you nailed it with these cookies…the evidence left behind in the form of powdered sugar can get you into trouble! 🙂 And these cookies totally remind me of shortbread cookies…just in a different shape. If I happen to have any left over, then I’ll be sure to send ’em up to you…but don’t hold your breathe there! Haha! When you write out all the jobs like that that Santa performs each year, he certainly is a hell of a busy fella! 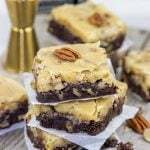 But if I were him and getting a batch of these vanilla pecan snowball cookies for my efforts I’d overlook that as these would certainly compensate! I need to put together my favourite Christmas cookie recipe that my mother used to make for us. I’m still waiting for that recipe. I think she’s holding onto it like someone having a map showing where buried treasure is. Ha ha! Snowballs are my absolute favorite holiday cookie – I love how they just melt in your mouth. They almost sizzle….you know what I mean. Anyway, totally intrigued by your gluten free version. I’ve been doing a lot of social media marketing lately and my favorite client is a baker, she actually a cannabis baker but that’s an entirely different story. She makes a version of these vanilla pecan snowballs I can’t stop eating them. I seriously think I’m addicted. I would love getting paid in cookies, especially these cookies. Hahaha…a cannabis baker is definitely a different story, Mary! But either way, baking is one of my all-time favorite passions, and I would be a happy camper just standing in my kitchen baking cookies all day long. Of course, those baking sessions would have to involve samples for the baker, too! 🙂 Thanks so much, my friend, and I’m glad to hear the social media marketing is taking off!! Oh my gosh, these cookies are so good, Deepika! They’re easy to make, and they are seriously one of my favorite holiday cookies. Plus, it’s kinda fun to make a mess with powdered sugar when you eat these! Santa is off to do some Robbie gift wrapping right now. 🙂 Thanks so much, my friend! We make a similar cookie every year too, only we do it with almond pasta & extract. Actually, I just made them this weekend! 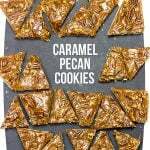 My favorite cookies are always the chocolate peanut buttery one – PB 7 layer bars, PB kiss cookies, or the ones with a PB cup in the middle. Chocolate PB has my heart I guess! I love this type of cookie! My grandma used to make them. I think sometimes they were anise-flavored, but I would like them much better if they were vanilla flavored. 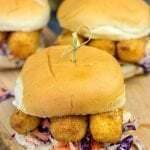 Subbing the Bobs Mill GF all Purp flour – do they have the same taste/texture as making with regular flour ? We called them pecan sandies growing up. Yes! Like you, I don’t have a ton of experience in baking GF treats. But that Bob’s Red Mill 1-to-1 AP flour is seriously good stuff. It’s a combination of all sorts of other gluten-free flours, and I honestly can’t tell a difference in the final product. I’ve used that flour to make all sorts of my favorite treats in GF free. Give it a shot! And, yes, I’ve heard these called pecan sandies, too. They have a bunch of names…and they’re all so delicious! I could eat an entire batch if I’m not careful. Haha! PS – sorry about Laura’s Uncle, holidays, especially the “Firsts” are always the hardest for me when losing someone I love. Woah, you and Laura’s uncle definitely had baking in common. He was always baking something, and his freezers were slammed full with his creations. He is definitely missed. Thank you for the kind words!